This week’s Nintendo eShop releases for North America are in, delivering new add-on content, demos and games for Nintendo Switch, Wii U and Nintendo 3DS – as well as plentiful discounts across all platforms. Strikers 1945 Plus is a shoot ’em up game released by Psikyo in 1999. Make use of Shots, Super Shots, and Support Attacks to make your way through a chaotic dogfight! Historical piston fighters, such as the P-38 Lightning, are ready to rumble! A state of the art arcade shoot ’em up from the masters of the genre, Psikyo. Want to turn that big screen TV in to a stunning virtual aquarium? Then get Aqua TV – a fully customisable virtual aquarium that lets your Switch do just that! Choose a tank then change the floor, walls, decoration – and of course fish – to make the aquarium YOU want! Ninja-Kid II is an action game that was released from the UPL in 1987. Ninja-Kid II was developed three years after Ninja-Kid. Ninja-kun who got a new action and weapons will aim to overthrow of Ashura. In this work, the player will be able to move in eight directions, and also can jump in triangle. Enthusiastic fans had been increased, because degree of difficulty went up dramatically. You have been Marked… A strange rumor is spreading through the shadows of Tokyo’s H City: a mysterious disfigurement, like a grotesque birthmark, has been appearing on the bodies of certain individuals. Anyone who receives the Mark will rapidly die of unknown, horrifying causes. Sir Arthur has gotten old… too old. He has lost everything he had and loved, and with nothing more to lose he leaves for Samarnath, an evil subterranean kingdom (which no knight has ever returned alive) in search of treasures, adventures and the most important: five magical orbs that together provide: the Eternal youth. Fairy Tale Puzzles ~Magic Objects~ is a simple puzzle game with adorable and fascinating objects from the world of fairy tales such as Aladdin, Snow White, Cinderella and Alice in Wonderland! The game is simple but deep, relaxing and enjoyable. One night while on his way home from school, a high school boy is abducted by the Octoids, an extraterrestrial species bent on revenge. The boy’s soul is transplanted into a high school girl’s body in a sinister experiment. Now sharing a body, the duo must work together with her high school band, K.M.G. (Kichijoji Metal Girls) to defeat the aliens with their greatest weakness: metal! Search for hidden folks in hand-drawn, interactive, miniature landscapes. Unfurl tent flaps, cut through bushes, slam doors, and poke some crocodiles! Rooaarr! Blast, dodge, and charge your way through an array of classic 1980’s Data East arcade machines. Heavy Burger is absolute local-multiplayer mayhem! 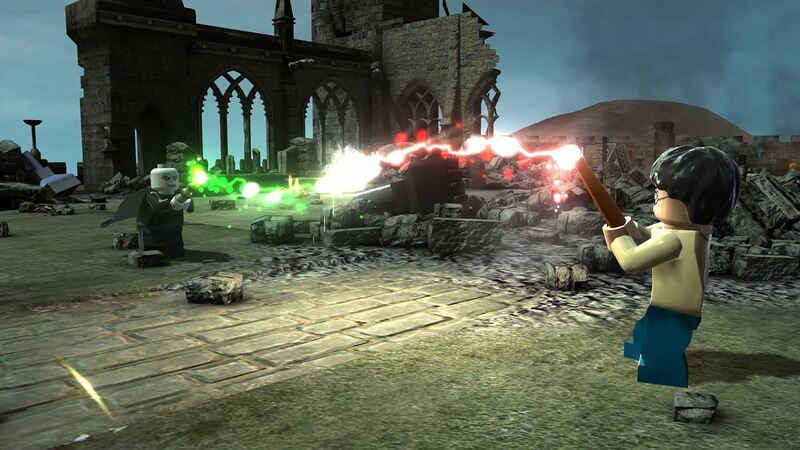 The LEGO Harry Potter Collection includes LEGO Harry Potter: Years 1-4 and LEGO Harry Potter: Years 5-7 remastered! This compilation unites the creative prowess of LEGO and the expansive world of Harry Potter, with an exciting journey full of spell-casting, potion-making, puzzle-solving, lessons, duelling and much more for players of all ages to enjoy. Hellishly brutal arcade-style football game Mutant Football League: Dynasty Edition is blitzing onto Nintendo Switch, with new exclusive teams and gameplay content. The game is the spiritual successor to the retro classic Mutant League Football, with next generation deep strategy gameplay, bone-crunching, tooth-shattering hits, and a roster of ghouls delivering tongue-through-cheek humor. Oh, and blood. Lots of blood. Fight for your justice in the My Hero One’s Justice game. Characters from the popular manga and anime series clash head-to-head and Quirk-to-Quirk in this 3D arena fighter. Pave your path, choose between hero or villain and battle through iconic moments. Fly your spaceships! Rescue your dog! Train maths while playing! Based on the hit Cartoon Network show, this game stars pint-sized hero K.O. as he punches, slide-kicks, combos and power-moves his way through hordes of evil Boxmore robots on an epic quest to save Lakewood Plaza Turbo from the maniacal Lord Boxman. In this story-driven adventure game meets action-packed cartoon brawler, level up your stats to unlock powerful new fight moves, collect the cards of all your favorite Plaza characters and then call them into battle to unleash off-the-wall attacks across tons of crazy quests. High end Piano Music Game. Play premium sound on Nintendo Switch. Designed for Nintendo Switch only! Beautifully tuned music and marvelous technique awaits. Lay your fingers on the controller to explore the sound of piano. Pinstripe is an emotionally charged adventure through Hell created entirely by a one-man team over the course of five years. Play as Teddy, an estranged ex-minister forced to venture through the frozen afterlife in search of his three-year-old daughter Bo, and her perverse kidnapper. Discover the dark secrets of Teddy’s past, and confront his sleazy, demonic nemesis, Mr. Pinstripe. In the spotlight and under pressure, a series of walls are coming straight at you! Each wall has a gap cut out in a different body shape. Hold a Joy-Con in each hand and move your arms to match the shape and slip through the gap! Sounds easy? It is at first, but the gaps get smaller and the walls get faster. How long can you survive before you’re plunged into the slime? Practice alone or play together for some serious fun! With a brand new and exclusive Vertical “Tate” Mode for Nintendo Switch, SkyScrappers is a 1-4 player arcade-style, competitive platform-fighting game. Select from a diverse range of extreme sportspeople, to fight and race your way to the top of a falling skyscraper… as it is being demolished. Join the Crystal Gems on the ultimate quest! A mysterious new Gem has stolen a powerful weapon. Only Steven and his friends have what it takes to stop her. Save the Light is a unique RPG hybrid that combines real-time and turn-based combat. In this new chapter of Suicide Guy you’ll be challenged with even more insane puzzles, generated by the surreal dreams of the Guy. You’ll encounter the weirdest of the living beings as you go deeper and deeper into his subconscious. This time, to wake him up you’ll need all your skills. Super Hyperactive Ninja is a fast-paced hyper-caffeinated action-platformer in 2D, designed with those who want a real tough challenge and speedrunners in mind. The evil Shogun has stolen all the coffee from the secret ninja village of Kohinomura, recover it before you fall asleep! Enjoy more great POWGI word puzzles with this bumper collection of six favorite word games. The puzzles included are Word Maze, Mixups, One Word, Flowers, Circles and Crossovers. Just Dance 2019 is the ultimate dance game with 40 hot tracks from chart-topping hits to family favorites, including “Havana” by Camila Cabello, “Bang Bang Bang” by BIGBANG, “No Tears Left To Cry” by Ariana Grande, and more!